Not just a storybook: a mailbox of joy, with Christmas cards to write and send, decorations to make, recipes and more! Merry Christmas? Not for Mummy Pig and Daddy Pig, who are both poorly and stuck in bed. Now it’s up to Peppa and George to keep the Christmas fun on track. (With a little bit of help from Granny and Grandpa!) Join them as they send out Christmas cards, bake yummy treats and put up lovely decorations. PS: you’re not just going to watch. You’ll actually do all that stuff too! 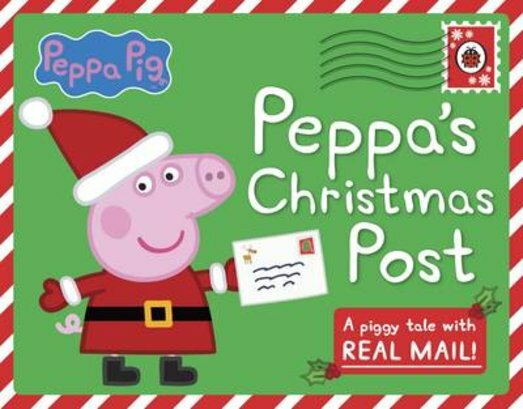 But are Peppa and George ready for the extra-special surprise they’ll find on Christmas morning?